Port Moresby (Post Courier): MOBILE phone banking is a very conducive product to achieve financial inclusion for the majority of unbanked Papua New Guineans in rural areas. According to the financial inclusion sub-committee members from the commercial banks, the rolling out of the mobile banking product was beyond their expectation seeing more people signing up to use the product. Australian and New Zealand Bank (ANZ), Territory Manager Hosea Kalis said since the Gomoney mobile banking product was launched five weeks ago, they had signed up over 20,000 customers. Mr Kalis said the bank as much as possible was promoting quality and volume for the product after receiving overwhelming support in terms of and customers signing up which was beyond the expectation of the bank. He said the product will also be introduced to other Pacific island countries like Solomon Islands and Vanuatu in the coming months. Nationwide MicroBank Manager-Women Banking Gima Kepi said Micash is a fixed product that deals with deposits and withdrawals, repayment of loans, etc. Ms Kepi said the only challenge facing the bank now is the identification of quality agents that will provide support in the rolling out of the product in communities throught the country. BSP Deputy Head-Rural banking Peter Komon said the bank has 42 rural branches and has over 120,000 customers and 200 agents. Mr Komon said despite the large number of participants, there are currently lesser activities with customers in the rural and informal sectors. 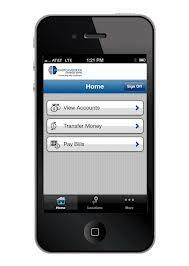 He said mobile banking has been very poor at the moment. Post PNG General Manager-Financial Services Kenei Gumaru told the financial inclusion sub-committee that since the inception of the Mobile-Salim Moni Kwik (SMK) two years ago, more than 180,000 people have registered. Mr Gumaru said there are 200 agents in all the post offices nationwide and the number increases on a monthly basis.